WE ARE CURRENTLY UPDATING THIS PAGE & ADDING OUR DESIGNS. We have many other designs from our collection, please view our instagram and Facebook page to view. The designs from our House Collection can be modified with colors, fonts, and liners. 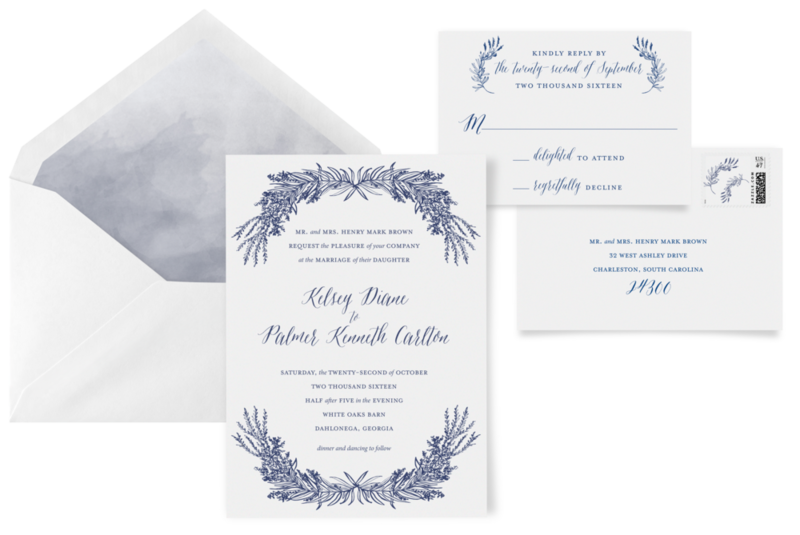 We can also create reply postcards instead of reply cards (this is a great way to save on postage and envelope costs), and add details cards, and any other embellishments. 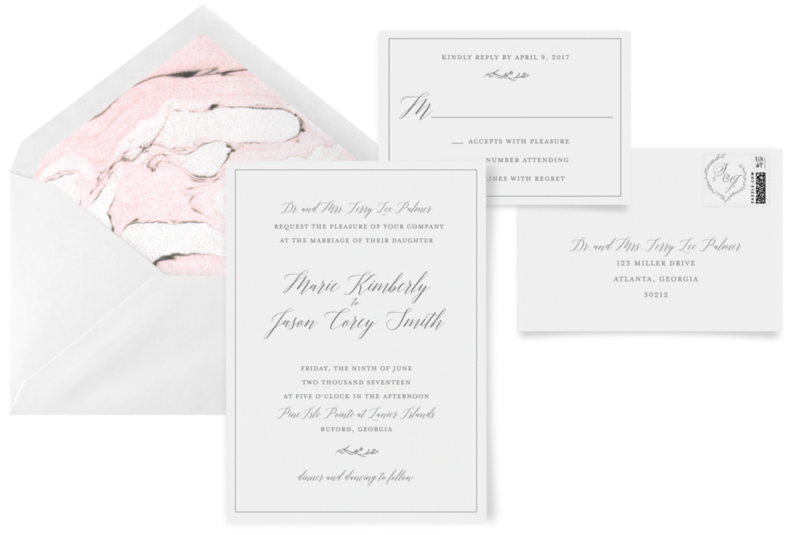 You can also add any of our monograms to an invitation suite, and of course we create custom designs for those who want an invitation that is uniquely your own style.